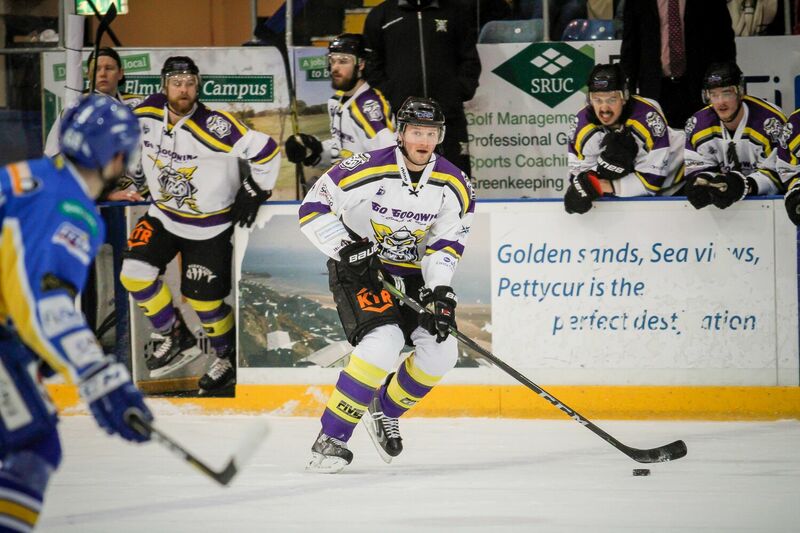 Your Second placed, Go Goodwins Manchester Storm kept their title hopes alive with a strong performance in Fife on Saturday night, with a 5-2 comeback win over the Gardiner conference champions. Following a treacherous trip to Fife, and braving the snowy conditions, the Storm made the trip North safely. The game got underway on time, and despite controlling much of the play in the opening minutes, Storm quickly found themselves on the back foot, as Chase Schaber put the Flyers ahead just 90 seconds into the contest. 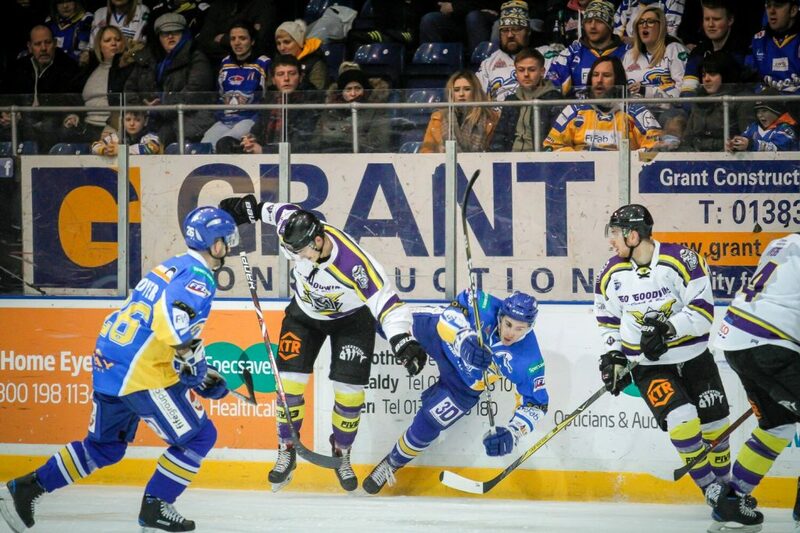 Minutes later, a power-play goal from Jim Jorgensen in the ninth minute edged the home side further ahead, but a Ciaran Long goal just over five minutes from the break gave Manchester the response they needed. From there on in, Manchester began to take control despite the efforts of the Flyers. 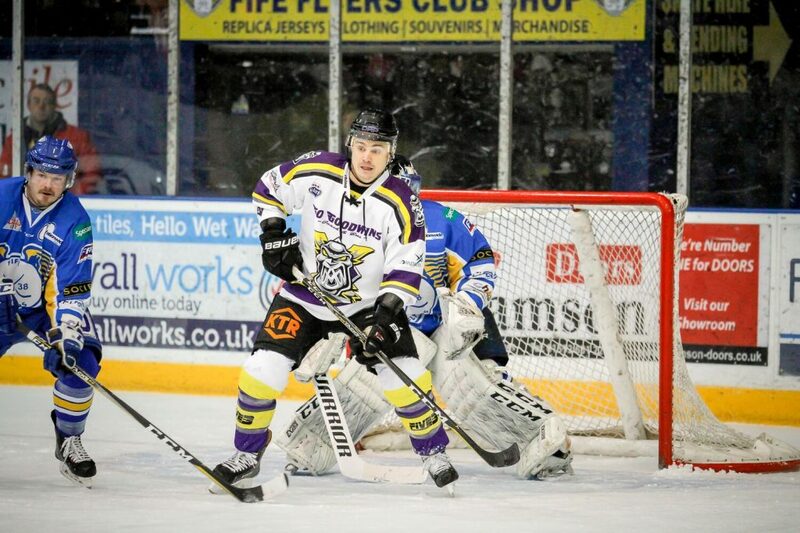 Mike Hammond, the Elite League top scorer, levelled the game up for Storm just over four minutes into the second period, before Declan Balmer put the visitors ahead in the 35th minute. Storm increased their advantage 90 seconds, later when Dallas Ehrhardt beat Flyers goaltender Jordan Marr, who stood in for the injured Andy Iles in the Fife net, with a long-range shot. A flurry of chance came after that, but the Fife netminder soaked each shot up like a sponge taking on water. Despite the Flyers best efforts, they were unable to find a way back into the game. The snail pace of the side during the 2nd cost them dearly, and with 90 seconds to go in the 3rd, Mike “Man of the Match” Hammond put the game to bed with an empty-net goal 90 seconds from the end. 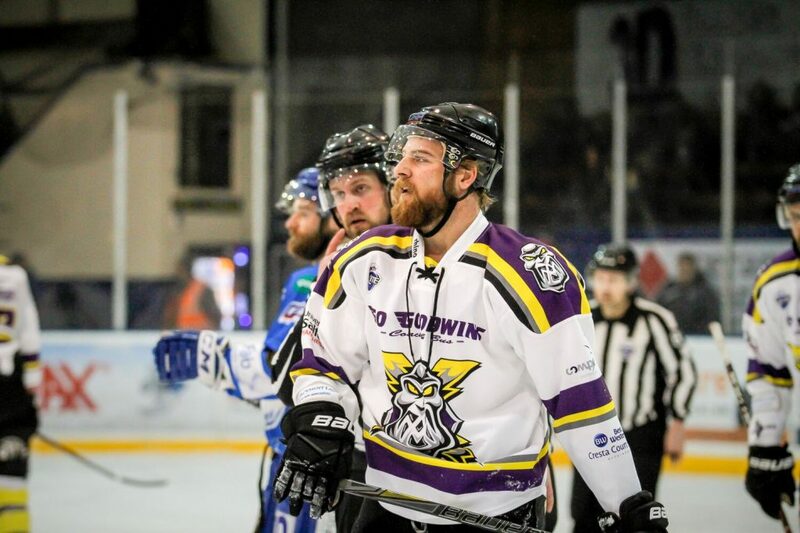 The Flyers however, won’t have long to wait to try for some revenge, as we welcome them to the Storm Shelter on Saturday the 1oth of March 2018. Tickets are already selling fast for what should be a thrilling game! Don’t miss a moment of the action, get your tickets now!